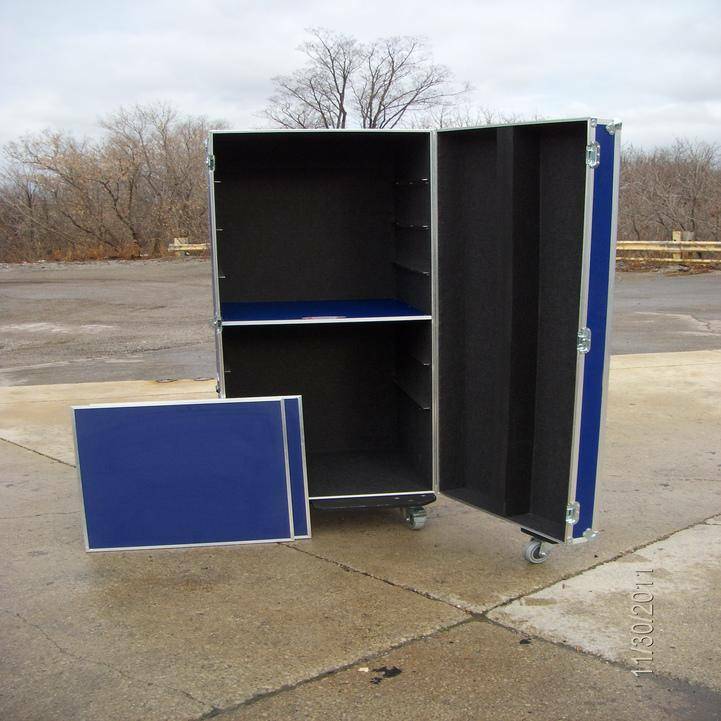 Our most practical solution for all your bulk storage case needs! Durable ABS Plastic Laminate Case Construction. Closet Rod - single or dual. 6 Way Adjustable Shelve Brackets. Aluminum Tongue and Groove Valance. Roping Eyes For Easy Tie-Down. Heavy Duty Steel Ball Corner Caps. Recessed Metal Key Lockable Latches with Keys. Recessed Metal Spring Loaded Cushioned Handles. Available in 6 Lengths - with 36” Width & 24” Depth. Zinc Piano Hinge (1.5” Open Width). Excess of 200 Piece Rivet Construction. ¾” Caster Base Board (Poplar).